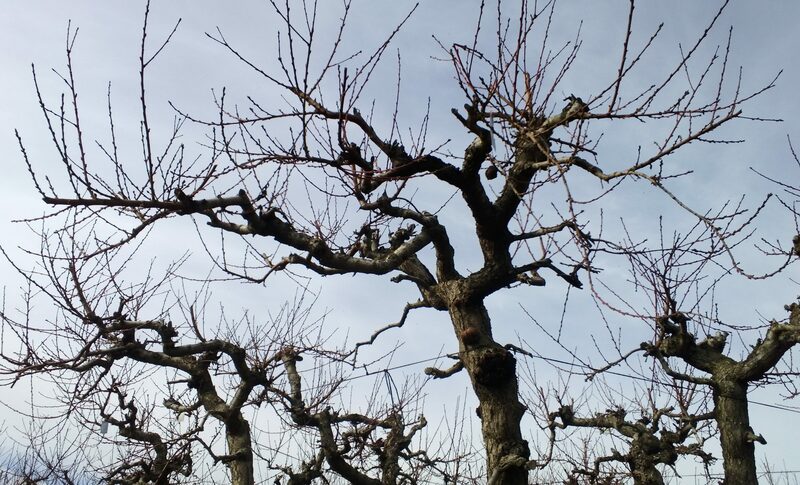 Dormant plum trees in orchard. Somehow Don the Con denied using the word “shithole” in a bipartisan meeting to discuss immigration policy. He did not deny wishing that more Norwegians would immigrate here. He denied saying “Take them out” about Haitian immigrants, but forgot to deny that he said “they all have AIDS” at a previous meeting. In general, Don the Con’s immigration policy, as he expressed it at the meeting, was to exclude people from majority black nations and people from south of the US border, and encourage people from places like Norway. They all had a laugh about that, over in Norway, but there were no takers on his offer to come to the US. Don’s behavior and use of the word “shithole”, even if the Republicans there didn’t hear it, has set back negotiations on immigration policy and destroyed what was left of US credibility in the world. Even equivocators now find it hard to deny that Don is a racist, and that all his policies are tainted by racism– which was the point of the Charles Blow op-ed to which this comment was attached.